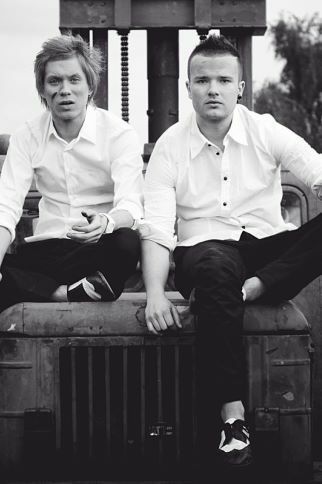 PeR which stands for Please explain the Rhythm is a Latvian beatbox and vocal band formed by two singers and beatboxers from Latvia (Edmunds and Ralph). Starting from 2007 PeR have performed in all of the biggest Latvian TV shows. These two musicians have already participated in the Eurovision Latvian finals of 2009, 2010 and 2012. Both of the biggest Latvian festivals the Baltic Beach Party and Positivus have shared their stages with PeR in 2009. In the summer of 2010 beatbox band PeR was one of the many contestants in festival New Wave, but before that they visited Estonia to perform in the Reiu Rock festival. In the end of 2012 PeR released their self-titled debut album which was nominated as the ‘Album of the Year’ in Latvia. In the semi-finals of the Latvian selection this year, Ralph was ill and had a 38 degrees temperature. However, that wasn’t a big problem for him and most of the people didn’t even notice that he was feeling sick. “That’s the magic about music – on stage, no matter what has happened to you, you become a complete different person. You just have to hide all your problems, because nobody cares. What does the Eurovision Song Contest mean to PeR? “The thing about Eurovision is that we think that the contest is getting more cheesy and cheesy every year. As years pass, some things have changed, but the biggest problems still have remained the same – the songs are made few weeks before Eurovision, new ‘once in a lifetime’ projects take action in the contest just to get more votes. I’m not a fan of what Eurovision has become; I’m a fan of what it could be”.